Water is a tangled history. After more than five years of severe drought in California, this year’s winter storms brought an incredible amount of rain and snowfall. Come spring, the unprecedented precipitation brought relief to the drought stricken region, but along with the water came a new set of concerns: floods, infrastructure damage, cracking dams, and overflowing reservoirs. Waterlines is a response to the urgencies of water in the age of extreme weather and climate change. How do shifts in weather and the fluctuation of scarcity to abundance shape the climate of behavior? When and where does it become personal? 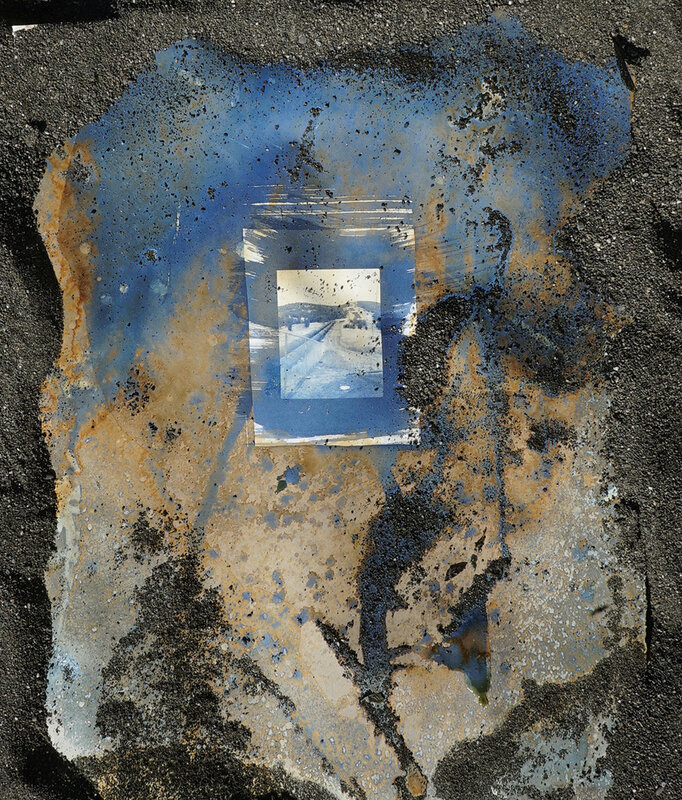 A series of cyanotypes, created on-site in an intensive two-week collaboration in Northern California with painter Jonathan Marquis, thread together a correspondence of water and human activity. 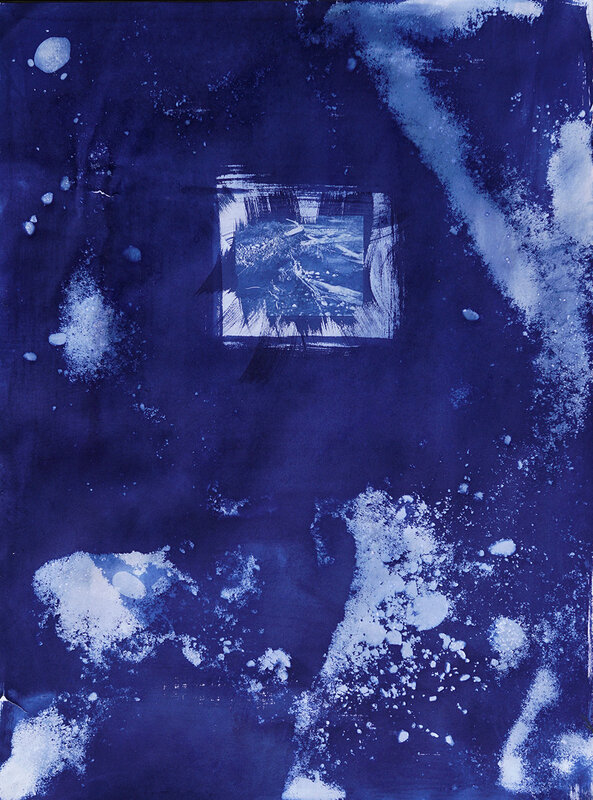 The immediacy of the cyanotype engages both photography and painting, presenting an appropriate medium to collaborate and examine the issue of water. 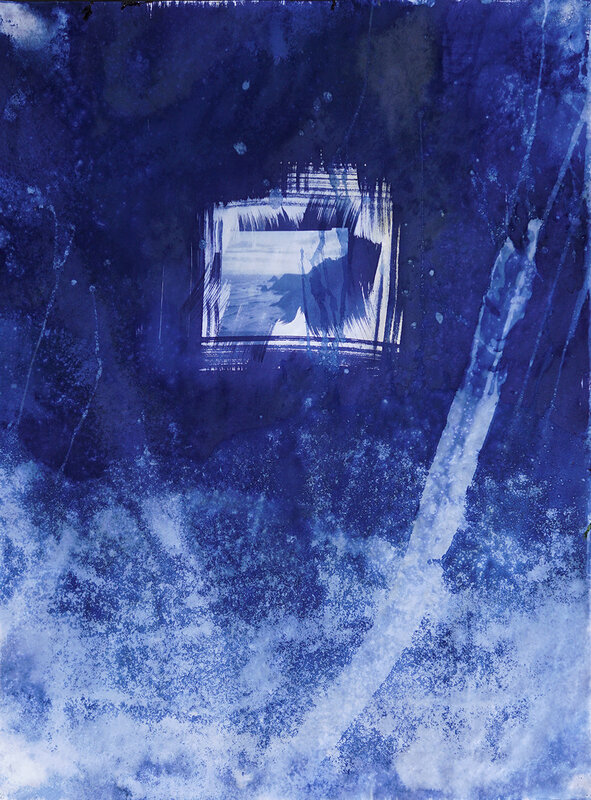 Final prints: 22" x 30"
Guided through rooms, doorways, stages and mirrors, The Gretel Project is an immersive, interactive theatre production with a cast of 17 actors, singers and dancers included five channels of video and a salon style wall of of framed photographs. A collaboration with Catherine Chung (writer), Lauren K. Alleyne (poet), and Sidney Boquiren (composer). University of Dubuque production made in collaboration with Amy Ressler, Theatre Director, and the University of Dubuque Theatre Department. See related black and white photographs, The Gretel Project. Nine-channel video, audio collage, installation. Center for Visual Art, Denver, Colorado. In collaboration with Chris Dacre. Two channel video, three-channel audio installation. Nine modified surplus military parachutes, kinetic toy airplanes and paratrooper, repurposed walmart™ Christmas tree, found holiday card dated 1969, 24k gold-plated tank and many gifts. Grunwald Gallery, Indiana University, Bloomington, Indiana. In collaboration with Chris Dacre. 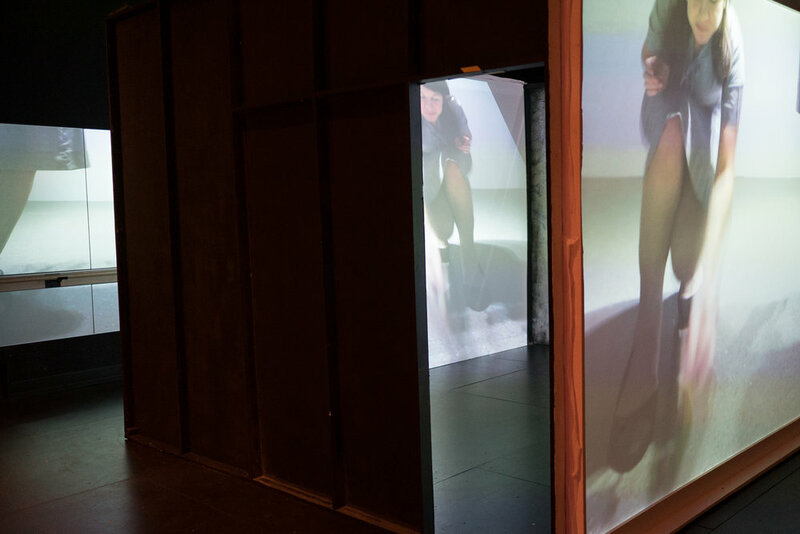 Walkthrough of the multi-channel video installation. Collaboration with Chris Dacre. Two-channel video, two-channel audio, slideshow, cardboard kinetic helicopter, wallpaintings, salt. Made in residence at the Rocket Gallery, Tucson, Arizona. In collaboration with Chris Dacre. Video walkthrough of two-channel video and installation. Collaboration with Chris Dacre.